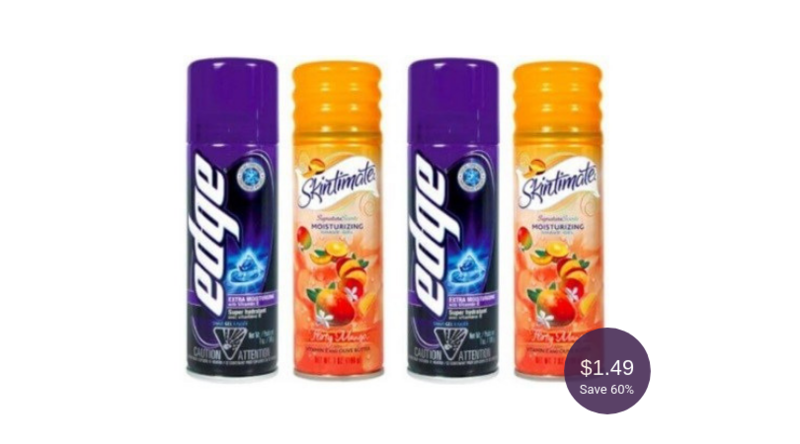 Save on a personal care essential – stock up for the warmer months. 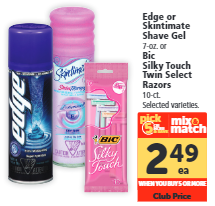 When you shop at Safeway February 6th – 12th, pick up Edge or Skintimate Shave Gel for $2.49 each when you participate in the Pick 5 (or More) & Save sale. 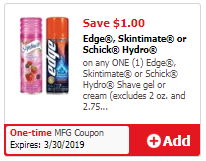 Then use either the $1/1 Skintimate or Edge printable or Just for U digital coupon and you’ll pay a final price of $1.49 after the deal. That’s going to save you 60%! This is a Monopoly Game Ticket Item. Read all about how to play Monopoly at Safeway here. Final price = $1.49, save 60%!